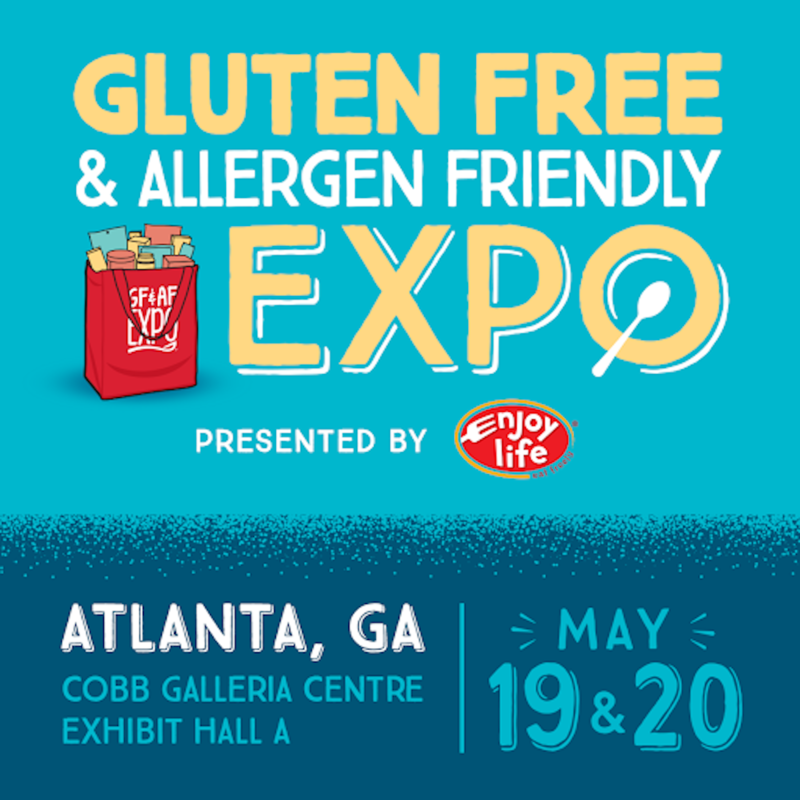 JOIN ME AT THE GLUTEN FREE & ALLERGY FRIENDLY EXPO 2018! Hang out with me at the biggest Gluten-Free Expo in the country this year! I’m so excited to announce that I have been invited to be an official blogger for the largest gluten free expo in the country this year, The Gluten Free & Allergy Friendly Expo (GFAF)!! Surprisingly, this will be my first year attending but I have heard amazing things from fellow bloggers, autism families and health nuts who have been before. GFAF hosts expos in 8 locations this year and I will be in Atlanta, GA May 19th and 20th to join in the fun! As you are all very much aware, I live a paleo and gluten-free lifestyle. Those who know me a little better will know that while I have been grain-free for 4 years, I have been gluten-free the majority of my life. My family cut all wheat when my brother was diagnosed with autism and we have been living this way ever since (approximately 20 years :O). Back then it was far from trendy to eat gluten-free, so as GFAF consumers we were left to struggle with cardboard tasting bread and crackers, hence why I have such a huge appreciation for companies developing DELICIOUS products targeted at those with allergies and sensitivities. I am so looking forward to connecting to some of these fabulous vendors and taking you all behind the scenes via social media. Be sure you are following me on Instagram and Facebook for exclusive, LIVE content (@Bellagracewellness). And of course, there's not only delicious food to taste (FREE) and buy (at a discount! ), but there are also some great speakers to help you understand more about living an allergen-free lifestyle, reducing inflammation, and healing your gut. You’re guaranteed to come away with a BUNCH of awesome freebies. If you are a lover of all things gluten-free, then this is the event for you. Tickets start at $15 but use the code ADVANCE to get 20% off your tickets if you purchase before May 18th. $12 for an informative, fun weekend and lots & lots of free food? Bargain! Make sure you stop by and say hello to me. I would love to chat and meet you all! When: May 19-May 20th, 2018. 10am-3pm each day. Purchase tickets: You can buy tickets to the GFAF HERE! Don’t forget to use the discount code ADVANCE if you purchase before May 18th for 20% your ticket! 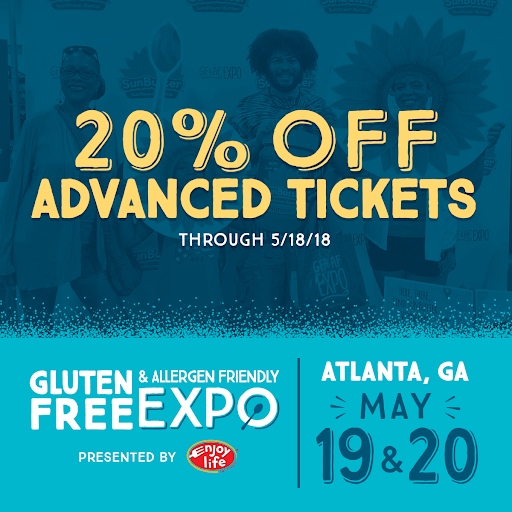 To learn more, please visit the main website at gfafexpo.com or visit them on Instagram, Facebook or Twitter!